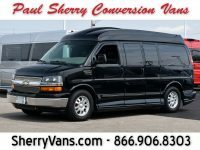 With a seven-passenger conversion van, you can actually fit seven adults in comfort, unlike in most minivans that leave the rear-seat passengers cramped. A conversion van designed to seat seven passengers, however, gives everyone more than enough room to stretch out and enjoy creature comforts. 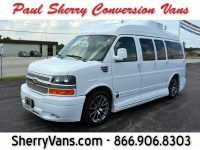 You can find a used seven-passenger conversion van at Paul Sherry Conversion Vans and be on your way to taking larger groups around in comfort. 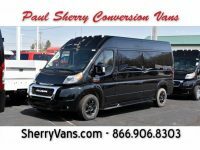 You can get a feel for our selection of used seven-passenger conversion vans by either visiting our dealership in person or by browsing our online inventory. Each model listed on our website is accompanied by a detailed description and photos with most also including a video tour so you can truly get a feel for the vehicle before you head to the dealership. 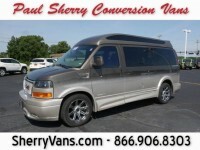 No matter how you choose to browse our selection of seven-passenger conversion vans, you will appreciate our variety. We have multiple model years, letting you strike your preferred balance between low mileage and incredibly affordable pricing. Of course, all of our models are always reasonably priced, but those with more miles and years in their history will cost even less. 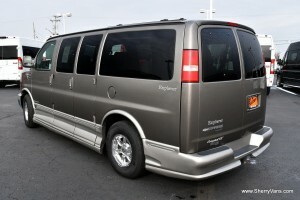 You will notice that all of our seven-passenger vans use V8 engines, so you get enough power to move the vehicle when it’s fully loaded with people and things. 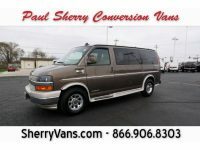 When you visit Paul Sherry Conversion Vans, you will get more than just a used van to meet your needs. You will also find a friendly team with the goal of matching you up to your ideal vehicle. We will ask you about your requirements and budget, and then make suggestions based on that information, our inventory, and our industry expertise. Once you choose your van, our finance department will work with you to get you an automotive loan regardless of your credit situation. We can also help you with a trade-in if you have a current vehicle in good condition that you no longer need. 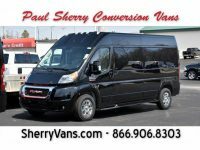 As a unique offering, Paul Sherry Conversion Vans also offers delivery to all fifty states, so you can buy a seven-passenger van from us no matter where in the country you live. 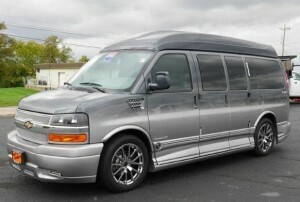 Visit us and our browse our inventory to get a feel for our selection of passenger vans.